Double Twist Dance Company is a professional lyrical contemporary/ ballet company based in East London, they have been establish for 4 years and run by choreographer Emma Levene and assitant choregraphers Isobel Johnson and Emma Clandon. There are about 6-8 dancers in the company. All of which have trained from a young age at well known and local dance schools and dance colleges in ballet, lyrical and contemporary styles and other dance styles and have a strong passion for dance and performing. 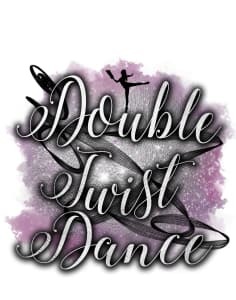 As company Double Twist Dance aim to bring some different to the norm. They want to break away from what is out there in the industry at the moment. They don't only value style, technique and choreography, they also tell stories through their bodies. They use strong ballet technique with elements of contemporary dance and jazz to create unique fusion style. Their pieces are based on real life stories, non fiction stories and fairy tales. Emma mainly specialises in ballet, jazz and contemporary and other styles e.g bollywood. She has experience in teaching dance to kids and adults and and have performed with other dance companies in the UK, music videos performing ballet and bollywood, been in films and adverts with mad dog casting and performed on tour in the midlands and also performed at the Closing Ceremony of the Olympics and also at the playhouse in Harlow dancing the can can and group ballet piece. When Emma and her dancers perform on stage together there really give such emotion to there performances and work well as team.